Tropical headboards for a room in the garden theme could be made by using picket fences on the bed top. Get am out of use fence form your yard, or buy a new one form a hardware store. But it along the bed’s width or you can use it to stand behind the tables along the bed side too. Try having garden or wedding gazeboes for your canopy bed headboards. These pieces easily arch over the bed top so that one can easily get a fabric and hang them to it. Drape a fabric in stylish design and adorn your inexpensive headboard for an expensive look. You can even get queen headboards this way. If you do not wish to shop headboards for your boy’s room, you can even use hockey goals. Place them at the bed top to make them a headboard. As it faces inwards, it would clearly curve around. If you get it facing the wall in the right way, you cam even get a nice and sturdy headboard against which one can easily lean the pillows. To complete the look of the room in the most stylish possible way, you can simple add hockey sticks to the décor, in place of the usually dull curtain rods. They look stylish and your kid will be glad with the idea too! Standing screens and bi-fold doors are great options too. Get them well upholstered with fabrics and get them properly attached to the walls. They can look so wonderful and real of done well, that nobody would be able to see that you got it done yourself! Headboards for beds in a teen’s room could serve the purpose of hanging notes and posters as well. For this you might purchase some cork rolls or squares, and have them installed as per your manufactures directions on the tall headboards. These can be painted or styled for a fancier look as well. The corkboard can be cut out in various shapes too, or you can also try using pushpins in stylish patterns. 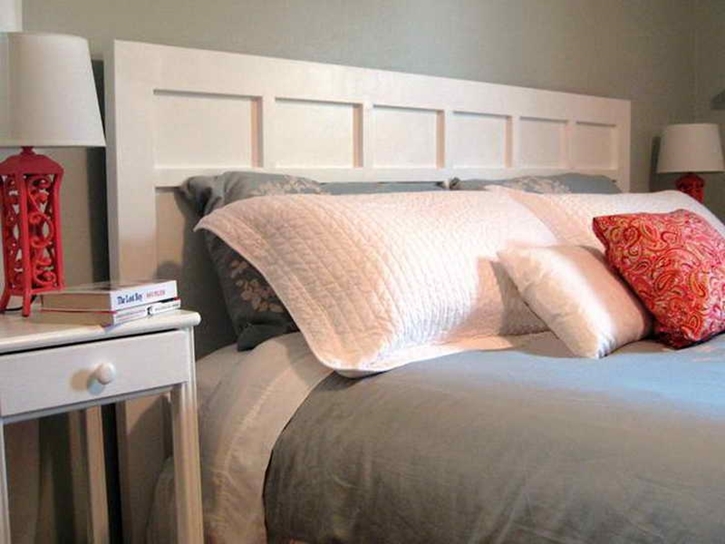 Shutters can also serve as fine headboards. Just give them the right look before mounting them. You will need two and four of them for twin and king sized beds respectively. 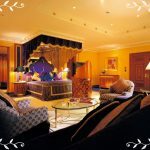 Headboards can also be made out of fire mantelpieces. Upholster it with plywood covered in fabric, for the opened out area. For the king size headboards you can smartly use the doors turned around on their side for mounting up on the walls, to get perfect wooden headboards. Another option is to build for it a frame that can stand by itself. You can crave the door, paint it, upholster it, etc.